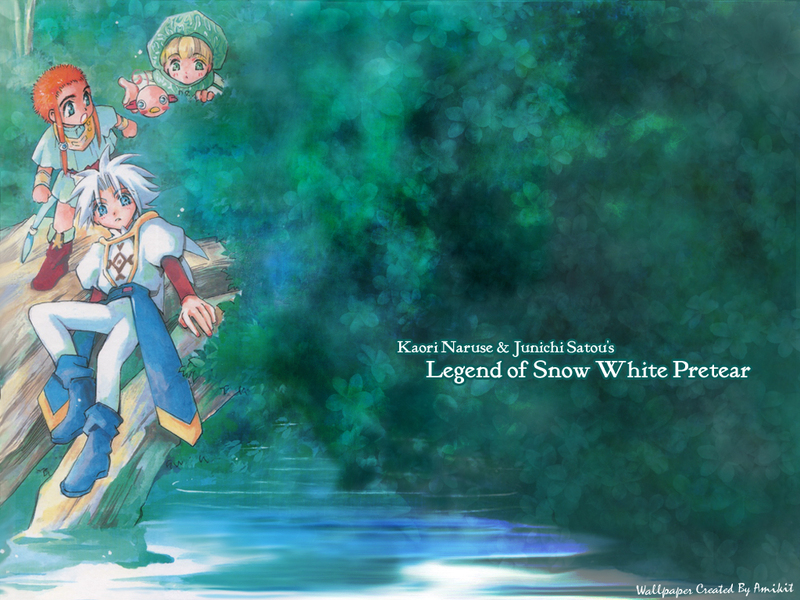 This wallpaper shows the younger Leafe Knights Mannes, Haijime and Shin sitting in the forest. This image originally came form a scan (I think it was an easter egg from preteardvd.com) of one side of the Japanese DVD Boxset. Basically, I used the cloning tool to CG the empty background, the custom-made flower brush tool for the hint of leaves and lots of filters. This 3 of 3 of "Forest of Pretear" wallpaper series. Please Comment! More Comments = More Wallpapers! Oooo... cool! I love the way you blended the background to look like trees... nifty!